I've just had a DVD made of my talk to schools, and I am offering every UK school that contacts me one free copy while my stock lasts. A version for US DVD players will be available soon, and US/Canadian schools are welcome to pre-order a free copy. Email: attwood.shaun@hotmail.co.uk Clips from the DVD are available at YouTube. Excellent! 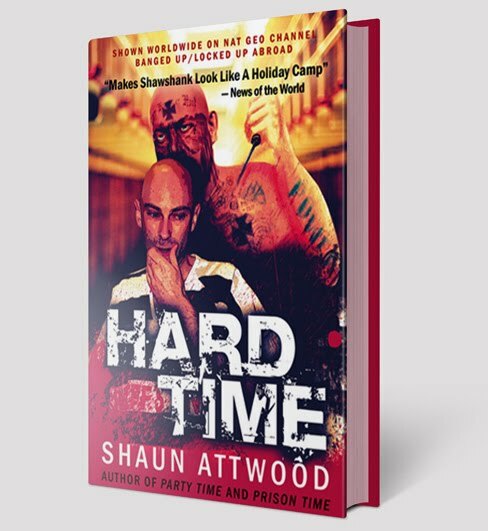 I can personally Shaun's book, "Hard Time" written about his experiences in the US prison system. Yo batman, crazy Joey is sitting on the couch next to me and said to tell you hi. Thank god Peter and him can't hang out together anymore! He's in ASU now and doing well btw. I'm having a great time filling in the blanks. "I can personally BLANKETY BLANK Shauns' book ...". Just like the TV show! It's important to stop glamorizing gangsters. 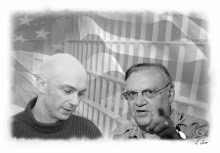 It's more important to raise awareness of the Arizona jail & prison system. The conditions for unconvinced (that's innocent still at that point in the US) people awaiting trial. Sheriff Joe spends more per meal to feed the dogs than on a whole days worth of "slop" and sack lunches for a human. The dogs get treated & fed better than an innocent person. Is that glamor? What I meant by my comment is that I liked the video because one of the goals, as I saw, was to "un-glamorize" gang life and killing.